What’s the best way to record an online video interview? With so many online video interview options, it’s understandable that many HR professionals are overwhelmed by choices. There are apps and softwares we use to communicate in our everyday lives, like Skype or Facetime, that many think can do the job. But in reality, if you’re trying to make you hiring process as efficient as possible, then you need an interviewing platform designed for hiring. Not too long ago, the HR department of DLP Realty found themselves asking the question: what is the best way to record an online video interview? The company had a collaborative hiring process and wanted a solution that allowed them to easily share information about candidates. They had resorted to conducting traditional phone screens, but that proved significantly inefficient. It was near impossible to find time in their HR professionals’ and executives’ busy schedules to interview candidates. Then they wasted even more time conducting the screen itself with candidates who turned out to be bad fits. Now that they’ve started using an online video interviewing platform, DLP Realty has been able to completely remove the phone screen and has seen a dramatic increase in their hire rate. Video technology has become a part of our daily lives. For younger employees, it has been a common form of communication they grew up using. As a result, millennials and Generation Z feel very comfortable using this technology. In fact, many of them are happier with their hiring experience if they go through a video interview rather than a traditional screen. 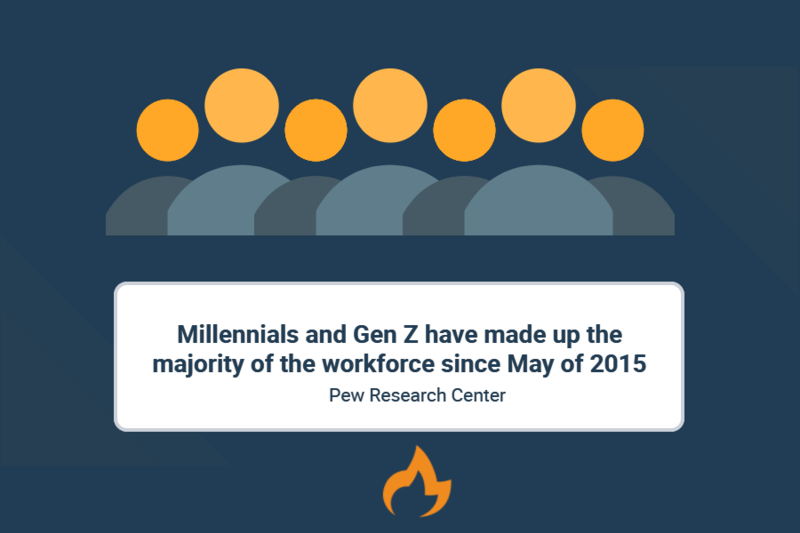 Since the Pew Research Center reported that millennials and Gen Z have made up the majority of the workforce since May of 2015, using this technology could help you win over a lot of top talent. 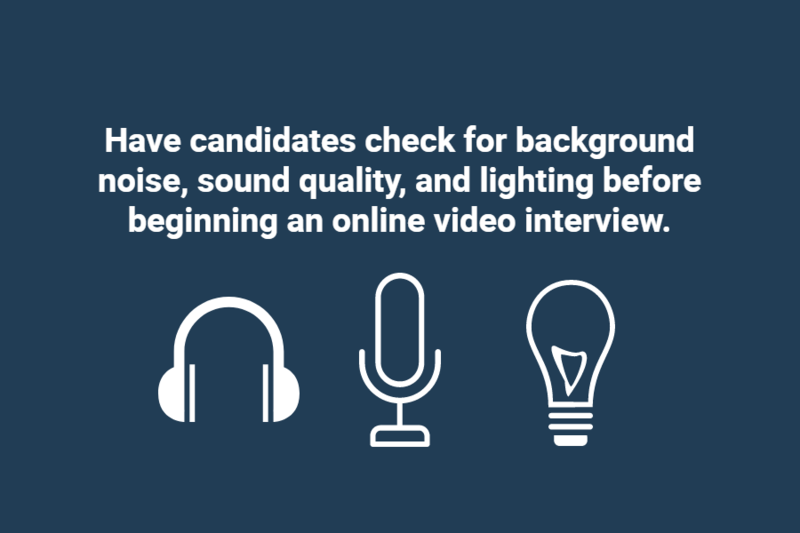 Remember, though, online video interviews don’t just speed up the hiring process for you. Candidates can move through the review stages faster and spend less time waiting to interview. As anyone who’s interviewed for a job knows, the sooner the process is over and your feet hit the office floor, the better. Think about how much time one phone interview takes. You spend several hours emailing back and forth with the candidate in order to find a time to talk. Then you are on the call with them for up to an hour. Finally, you have to report back to your colleagues and discuss whether or not the person is a good fit. That’s hours wasted on one candidate. In that time, you can review dozens of online video interviews. As an HR professional, your time is valuable. You have to juggle everything from employee engagement to payroll. By switching to video interviews, you can free up a large part of your schedule and focus on your other responsibilities. Even if you’re planning on conducting live video interviews with your candidates, scheduling can still be an issue. Using a scheduling tool that is synced to both your personal and professional calendars makes the whole process easier. By including a link to your scheduler, candidates can pick an opening with a click. Then your schedule will be updated automatically. However, just because scheduling communications are simpler, that doesn’t mean they should be less personalized. With interview scheduling software, like ours, you can customize the landing page of your schedule. This way when candidates pick a time for their interview, they don’t see a generic page with listed times. They see something that matches your company’s brand and culture. You want to be able to see candidates at their best. While they might have experience with Facetime or other video calling platforms, an online video interview is different. There’s more at stake for the candidate. Provide them with candidate resources so they can prepare and shine. Start by explaining how the process will go. Let them know what type of video interview they’ll be going through so they know what to expect. Also, give them links to technical support so they know where to get immediate answers if there’s an issue with the platform. Next, give them a list of things they need to consider before recording the interview. Tell them to double check for background noises or possible interruptions so there are no distractions. They should also make sure that the lighting in the room where they record is optimal and that the camera they’re using is stable. While they certainly can use their cell phones or tablets to record, it’s better for everyone if those devices are supported and stationary so there’s no shaky footage. Even if you don’t end up hiring a particular candidate, they will appreciate that you made the effort to prepare them. This will improve your employer branding and give the candidate a chance to do better in the future. In a one-way video interview candidates are given a set of questions that you have predetermined. They then go through the questions one by one and record their responses. Once they’re finished, they submit their interview to you and you review it whenever you have time. This type of interview is often used to replace the phone screen and gives HR professionals more control over the situation. For instance, you can decide how long candidates have to answer the questions. 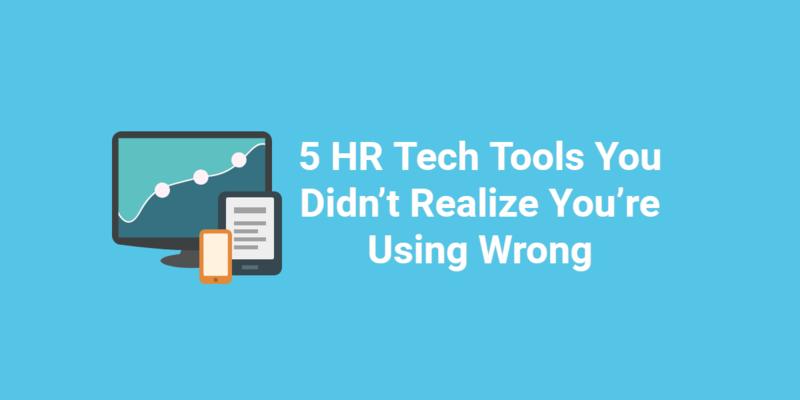 You can also determine if they have the option to re-record a response they make a mistake on. The greatest feature about this type of online video interview, by far, is its convenience. Candidates complete their interview whenever they’d like. If they currently have a busy work schedule, they can sit down and record their responses at midnight if necessary. Then you can watch the video on any device whenever you have a spare moment in your day. These types of interviews are similar to Google Hangouts or Skype. They occur in real-time with both parties present. 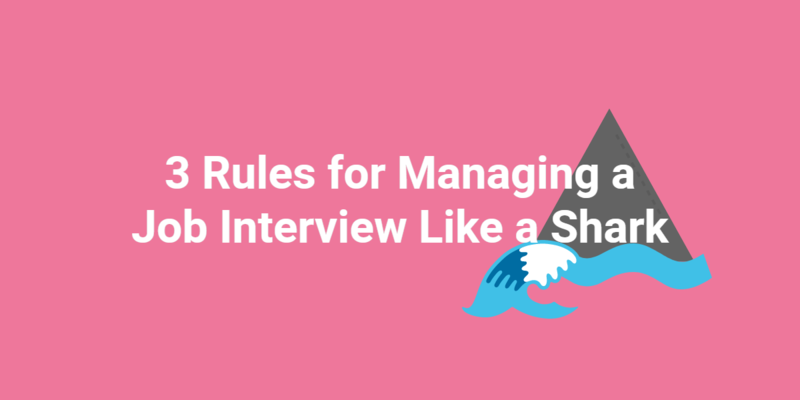 Even though the interview is live, it’s a good idea to record them so they can be reviewed later. Live video interviews are usually conducted further into the hiring process and are a great substitute for an impossible in-person interview. For example, if a candidate doesn’t currently live in your region. You can have them do a live video interview instead of spending money to fly them out to your office. Using live video interviews gives you a chance to better see how a candidate reacts and communicates. You can actually see how they think through a question and ask follow-up questions if need be. When writing job descriptions for the open role, chances are you already created a list of the necessary skills and experiences. But there will be no candidate who perfectly matches all the requirements. This is why you need to take the time to clearly prioritize your hiring criteria. Determine which requirements are most important and why. Then think about which skills are less necessary and what other experiences they could be replaced with. For example, if you’re in the technology industry and you’re hiring a customer service representative, will it suffice if the candidate only has experience dealing with customers in a retail setting? Once you have a set criteria, create a checklist or a scoring system that allows you to objectively assess each candidate. Be sure to share it with all members of your hiring team so everyone is on the same page. Sometimes you’ll know within seconds of reviewing an online video interview that the candidate isn’t right for the job. But that doesn’t mean you should hit pause and stop watching their responses. Continue to take notes of why they aren’t going to be hired, but also on their strengths. This can help you in a number of ways in the future. First, it gives you and your hiring team a concrete example of what the wrong candidate looks like. It will help everyone learn and make better hiring decisions later on. Second, it will allow you to create a talent pool you can tap into later. If a candidate clearly doesn’t have the skills for the current position, take note of their qualifications and strengths. You can always reconsider them when the perfect position opens up. Then you can reach back out and see if they’d like to re-apply with your company. Online video interviews make it easy to share candidates’ responses with whoever is involved in the hiring process. They don’t have to be present for the interview, but they can still share their opinions. Every person on the hiring team can review candidate responses whenever it fits into their schedule. This allows you to consider each candidate from multiple perspectives and make a more informed decision about who to hire. There are many options when it comes to online video interview platforms. But when you know what you need to be successful, you can make the best choice for your company. Then you can create a better, more efficient hiring process. Want more information on online video interviews? Watch our webinar!